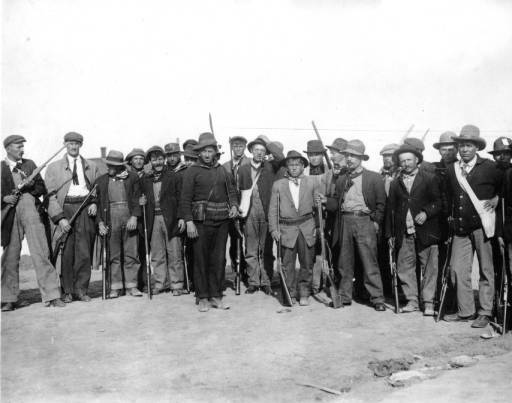 A photo of miners from the early 20th century. Note the Carbide lamps in function. The Battle of Blair Mountain can also be viewed in the greater context of the Great Migration that occurred from 1910 to 1940. Many African Americans left the rural South, i.e. Mississippi, Louisiana, and Alabama, in order to look for better paying jobs and livelihoods. 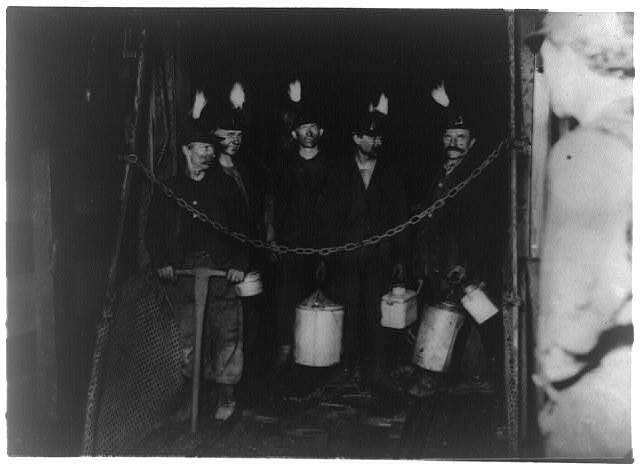 While most would move further north in the Midwest and East, a number did become coal miners in West Virginia. For example, the McDowell County black population alone increased from 0.1 percent in 1880 to 30.7 percent in 1910. It also important to keep in mind that there was also an already in the state of West Virginia, they up made up an estimated 20% of the total population in the 1920s. Many black men were enticed to the Coal Towns after the Civil War being told they would be provided with a house, dry goods, and that they could bring their whole families. However, the reality was much different, like his European-American counter parts he would have to work from before daylight to past sundown and if he died in the mine his widow could send in a son to replace him. At first attempts to try and unionize the African American workers in the 1910s was very difficult to do since many did not want to risk their livelihoods. By the time Blair Mountain occurred many did join the attempt to organize. During the battle, many blacks fought alongside their white counterparts. There are many stories in which both black men and white men ate side by side in a company mess halls that normally excluded both ethnic groups from intermingling with each other. 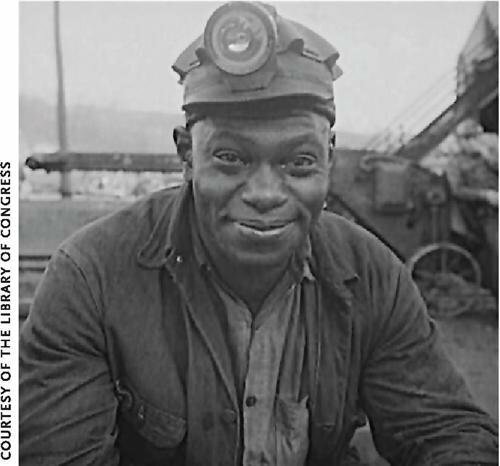 Between 1930 and 1950, the number of blacks in the coal mining industry in the central Appalachian states declined 38 percent and many moved to northern cities in the second wave of the Great Migration to Pittsburgh, Cincinnati, and Chicago. 1. Lewis, 80, 2. Lewis, 93.